333/365 who’s the smartest brustein, originally uploaded by ajbrusteinthreesixfive. the annual Who’s the Smartest Brustein contest was held today. As always, the questions were questionable, the answers inaccurate, the families fighting, and the whole game meaningless until the last question. 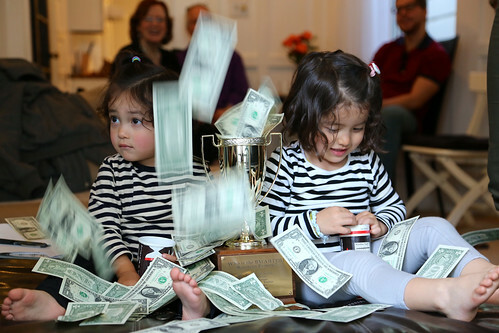 But we, the Timonium Brusteins, came out victorious thanks to our “phone a friend” option… Nyla and Kylie didn’t participate much but bathed in the riches and celebrated with the trophy. 332/365 thanksgiving in sf, originally uploaded by ajbrusteinthreesixfive. 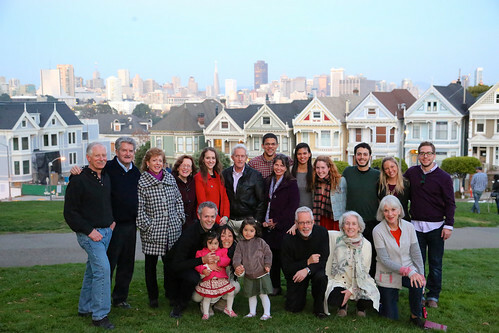 the annual Brustein Thanksgiving came to San Francisco this year. Luckily it wasn’t at our house which was great, but 4 blocks away at an AirBnB place, right off Alamo Square. So, being in San Francisco, it only made sense to take the group shot in a cliche place – like the opening credits of Full House. 331/365 house guest, originally uploaded by ajbrusteinthreesixfive. we have a house guest for the next 4 or so days. Not big enough for any more guests than that so the rest of the family is stuck in hotels. Anyway, welcome Aunt Darrah! 330/365 goodbye kitty, originally uploaded by ajbrusteinthreesixfive. 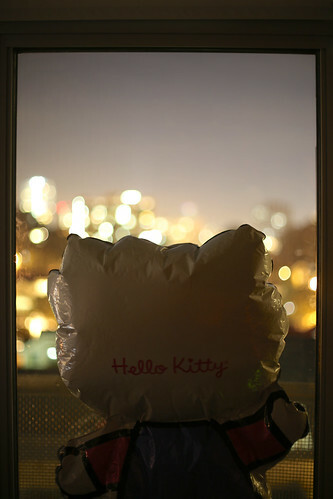 this Hello Kitty balloon has been with us for 6 weeks or so now – pretty amazing given that a year in helium balloon life is about 5,200 human years. I think she knew her time was up when I found her tonight staring out the window like this, waving goodbye to the world she loved – a world that loved her. But everyone’s time must come. We had a good ride together, Hello Kitty. Be well. 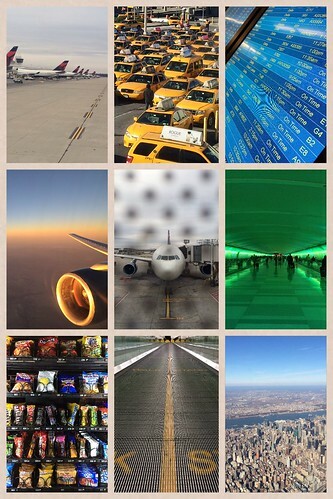 329/365 mileage run, originally uploaded by ajbrusteinthreesixfive. 328/365 filming, originally uploaded by ajbrusteinthreesixfive. 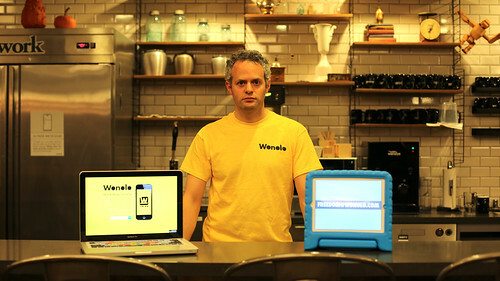 today we went into the office to film our first Wonolo video. It included at least 5 wardrobe changes and took twice as long as expected – and we didn’t even finish. Lots of unexpected obstacles to deal with and rookie mistakes, but it was cool shooting anyway. Now finding the good takes and then editing. Should be interesting. BTW, this picture wasn’t supposed to be a picture – which explains the not-so-happy mood. 327/365 calm, originally uploaded by ajbrusteinthreesixfive. this was how the Pacific was behaving today – calm. Went out for round two of my surfing career in SF this morning. Was hoping to trade into a different board but didn’t happen so I kept my pro board today (I am as far from pro as you can be). Needless to say, I had some difficulty catching the waves today given they were nearly nonexistent. 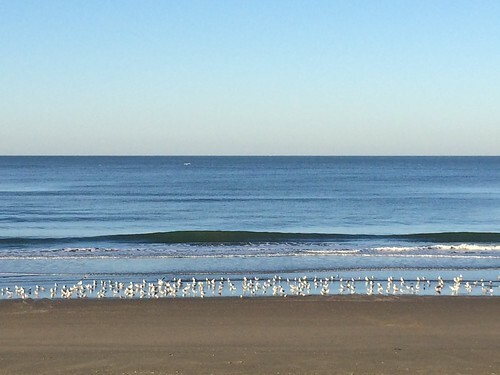 And there were about 100 times more seagulls than surfers – at least some life form can enjoy the waves when they are as weak as today. Project 365 - 365 days of photo taking, one photo a day for a year. Some days will be awesome, some days won't. But you'll have to check back everyday to make sure you catch the good ones.